For the 29th year in succession, MEDASSET participated in the 37th Standing Committee Meeting of the Bern Convention at the Council of Europe (Strasbourg, France, 4-8 December 2017). We presented the results of our sea turtle nesting beach surveys, raised our concerns and submitted recommendations. As a result, the Standing Committee of the Convention adopted important Decisions to monitor several sea turtle habitats and urge signatory states to improve protection. 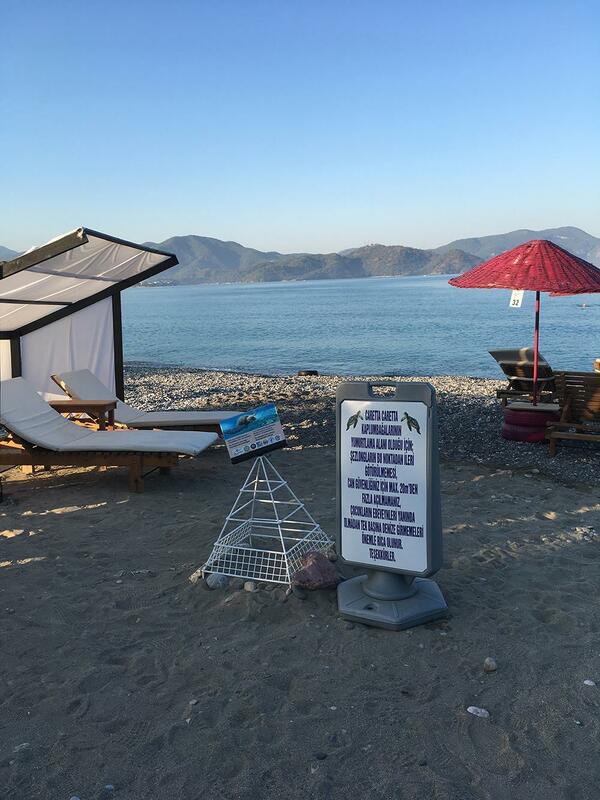 We have been conducting assessments of these two sites and campaigning to improve the protection of loggerhead nesting beaches in Patara and Fethiye since 1988 and 2009 respectively. These efforts continued in 2017. Both sites are listed as Specially Protected Areas (SPAs) by the Turkish government. We found that, unfortunately, the majority of the Recommendations made by the Bern Convention in 2015 have not so far been implemented by the Turkish authorities. Further expansion of business at Çalış Fethiye beach. Note nest cage. 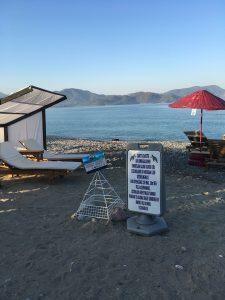 In Fethiye, there was minimal improvement in the protection and management of the site, except for a few new signs and some litter collection efforts. Once more, we documented severe light pollution, the presence of summer furniture and fixed structures inside the nesting zone, lack of summer furniture collection at night, uncontrolled vehicle access on 6.5 of the 8 km nesting beaches, showers, walkways, and camping. Severe degradation and reduction of the available nesting beaches continues, due to poorly managed coastal development. 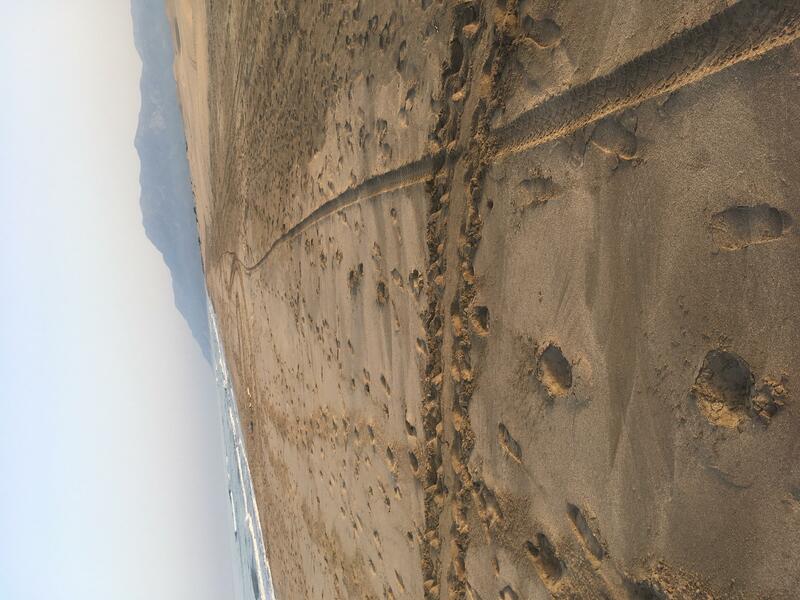 In Patara, we recorded a lack of guarding, nearshore fishing, predation of nests, uncontrolled vehicle access, summer furniture obstructing nesting at night, lack of zoning and information signs along the largest part of the 12km beach. Behind the beach and within Patara’s unique archaeological area, the holiday home construction project continues: in addition to the 27 houses inhabited in 2015, there are still 255 buildings at different stages of construction. Through our campaign we are urging authorities to adequately protect the habitat before human disturbance increases many-fold due to the inevitable rise in the number of residents and visitors. Find our full report here. MEDASSET has been reporting on and campaigning for Kazanli since 1999. There were once again many signs of inadequate protection of the nesting habitat at Kazanli – one of the most important nesting beaches of the green turtle (Chelonia mydas) in the Mediterranean. The most serious problems affecting the habitat are: the alarming erosion of the nesting beach, along some sections of which nesting is no longer possible, and the continued existence of approximately 1.75m tons of hazardous, toxic waste that is located next to the beach and covered in plastic sheeting. There has been little progress with its neutralisation and removal. Other problems include abandoned greenhouses, sand extraction and near shore fishing activity. 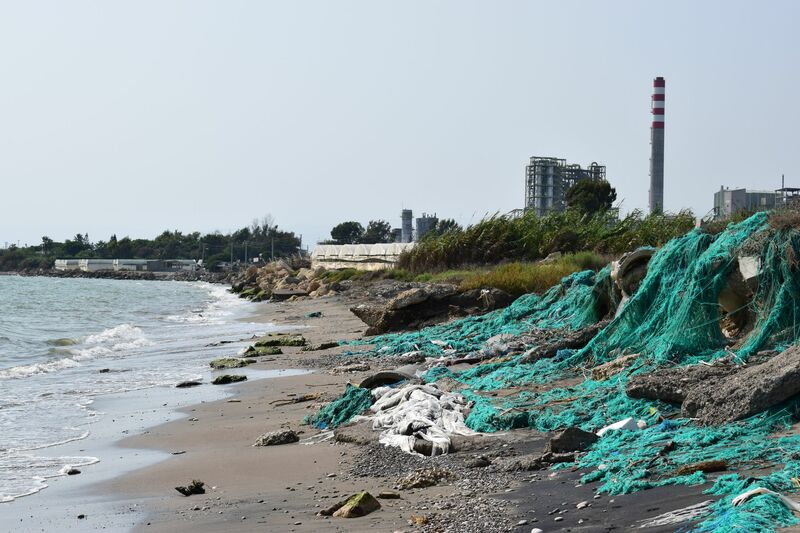 Discarded greenhouse nets (plastic debris) at Kazanli beach. 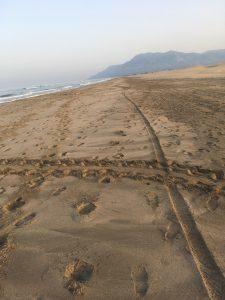 Nesting beaches in Southern Kyparissia Bay now host the highest number of loggerhead nests in the Mediterranean. Although the site is a NATURA 2000 site, the Greek government has failed to introduce and enforce the necessary conservation and management measures. As a result, the Bern Convention issued a Recommendation in 2014, which includes a permanent construction ban in the core nesting area. The European Commission referred Greece to the European Court of Justice in March 2014 and in November 2016 the Court issued a decision condemning Greece for its failure to protect sea turtles in Kyparissia Bay. 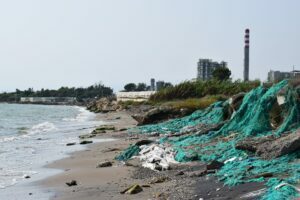 The Greek Government has yet to put effective protective measures in place, and MEDASSET, together with other environmental NGOs, is demanding that authorities urgently issue a Presidential Decree that will ensure appropriate protected status to the site. At the 2017 Bern Convention Standing Committee meeting, MEDASSET, we presented in collaboration with ARCHELON, the continued degradation of the site and its inadequate management during the Summer of 2017. Threats included sand dune destruction, illegal construction and planting on the beach, nearshore fishing, vehicle access on the nesting beach, poor summer furniture management, agriculture on the dunes, and light pollution. Although the Bern Convention’s Standing Committee closed its Case File on Laganas Bay in December 1999, MEDASSET was granted a special opportunity to present its current status once again. 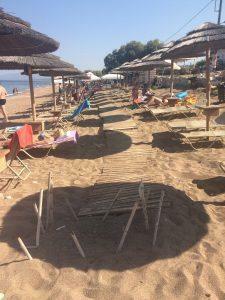 Please read the full report of Archelon here. There has been a Case File opened by the Convention on conservation problems at sea turtle nesting sites in Akamas and adjoining Limni since 1997, making it one of the longest-standing cases the Standing Committee is concerned with. Terra Cypria illustrated that implementation of the Bern Convention’s Recommendation is still outstanding, management plans have not been implemented and no effective protection measures are yet in place. Illegally operating restaurants remain; a massive hotel, housing and golf course have been approved for Limni, an important loggerhead nesting area. Terra Cypria, supported by MEDASSET, called for the reinstatement of the originally envisaged buffer zone between the buildings and the shoreline. The EC representative stated that the Commission is investigating a possible infringement of the Habitats Directive in relation to the Limni development. For more details see Terra Cypria’s 2017 report.